Whenever Apple announces their latest wares, the tech world tends to pause for a bit to see what's happening. When they announce a new iPhone 6s, people outside the tech space take notice. And when Apple unveils a new iPhone, an Apple TV that's actually pretty cool, and a pen-equipped 12.9-inch iPad Pro, everything everywhere stops to see what Apple's up to. So… that's what happened this week. Well, there were some other things too — Google got their Android Pay launch out before Apple started dominating all the headlines, BlackBerry lost Dand Dodge, the CEO of their QNX platform division, and Windows 10 exceeded the installation rate of both preceding Windows releases by hitting 81 million PCs in just 45 days. There's plenty more from all across the mobile community to catch up on, so let's dive right in! iMore — iPhone 6s is here! iMore was live at Apple's 2015 fall event and it was big. Forget that, it was huge. The company unleashed almost everything, from a new iPhone to a huge new iPad, an expanded Apple Watch line to a completely overhauled Apple TV. And we brought you back all the action! Now the fun part begins—buying and reviewing it all! Keep it locked to iMore! It was a big of a recuperation week for us as we returned (triumphantly!) from the IFA conference in Berlin. But that doesn't mean the news stops. Google rolled out Android Pay for the first time, bringing its contactless payment system in line with the versions from Samsung (which is just in beta form) and Apple. Plus, we took a look at the Nextbit Robin "cloud-first" phone, and we reviewed the latest version of the Android Wear operating system. Android Pay starts rolling out in the U.S. Although BlackBerry is gearing up for their Q2 fiscal 2016 earnings call on September 25th and are pretty much in their quiet period, there was still plenty happening this week to report on. Latest BBM beta for BlackBerry 10 brings further PayPal support, Sticker Club and more! Amidst the domineering Apple news of the week, Microsoft is trudging on like a trooper. Windows 10 is now on more than 81 million PCs after just 45 days. That number puts the OS at 400,000 installs a day and eclipses Windows 7 and Windows 8 by miles. Microsoft still has a few years left though before it hits its internal goal of 1 billion Windows 10 devices. Some new universal apps hitting Windows include NFL for Windows, Adidas miCoach, and an improving official Twitter app. In response to Apple's new releases, Windows Central puts things into perspective for Microsoft by laying out its continuing challenges. Speaking of trials, are Windows Phone fans being pushed to the brink with too many disappointments? Maybe. 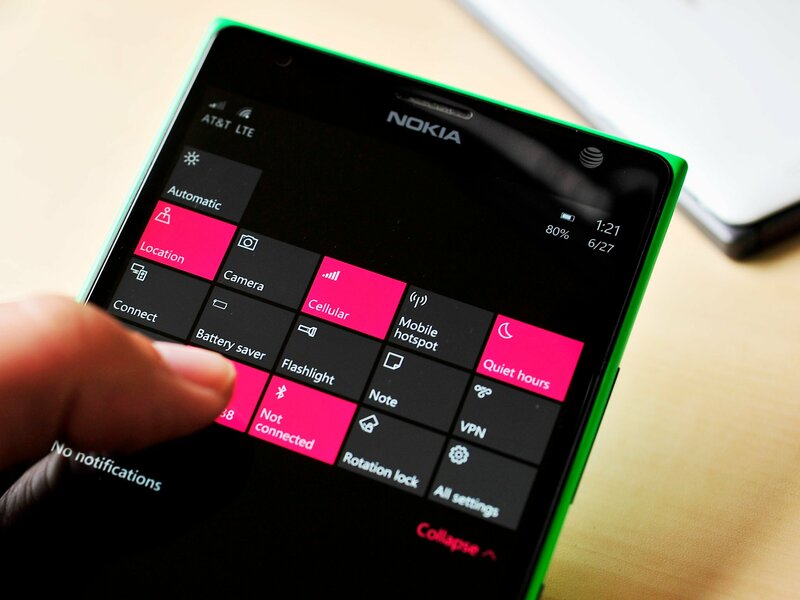 From the Editor's Desk: Is the Windows Phone community imploding? We're also giving away some great prizes! For your chance to win a Pebble Time smart watch, an Ilumi smart bulb 10-pack, or the Coolest Cooler, watch this video and subscribe to our YouTube channel. You've only got until the end of September so subscribe today! This week on Connectedly, we saw some big product announcements including an insane 250 megapixel Canon camera, GoPro's 16-camera VR Odyssey machine, AT&T's ZTE Mobely car Wi-Fi add-on, as well as the new DJI Inspire 1 4K camera add-on. We also of course took a look at the new iPhone 6s, iPad Pro and Apple TV announced at the Apple 'Hey Siri' event. In crowdfunding we saw Snooze, a little device to help you sleep better. Plus a whole bunch more — check it all out!